Need Cash? There's an App For That. Earlier last year when Akbank won the title for best smartphone app at the Global Mobile Awards in Barcelona we thought we couldn’t have built a better app. World’s best just got better with Veacon integration. Akbank Direkt users are now able to withdraw cash at ATMs without using plastic. All they need is the app and bluetooth enabled on their iPhones. 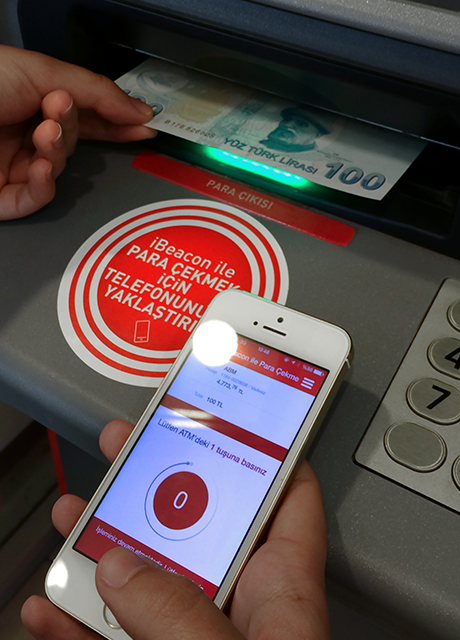 Developed in under three weeks, world’s first iBeacon enabled ATMs started out in 10 locations in Istanbul. The company is considering a nationwide rollout to some 4K+ ATM machines around the country with added features and functionality. Let’s see how that turns out and we’ll keep you posted with more great news.